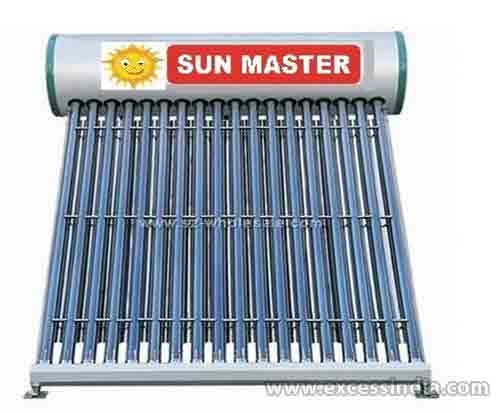 We offers Solar Water Heater in wide range of industrial, commercial and domestic applications from small to large capacity to suit to demands of various customers. We are a renowned firm engaged in manufacturing Solar Water Heater both Domestic and Industries These heaters are designed to provide maximum heating efficiency for which we have installed latest evacuated tube technology ""three target tube"" in these products. To prevent scale formation in the system these heaters are provided with anode magnesium bar.